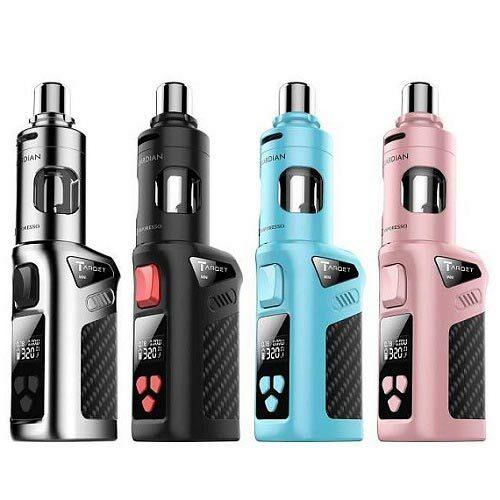 The smallest Vaporesso Kit currently available, Vaporesso have literally shrunken the flagship ergonomic trigger shape of its bigger brother when designing the Vaporesso Target Mini. Powered by an integrated 1400mAh lithium battery, whacking out an impressive 40 watts of power for such a tiny unit, and incorporating temperature control, it's a device that can be taken anywhere with the absolute minimum of fuss; Pop it in a pocket and away you go. The Mod is charged via the micro USB port. 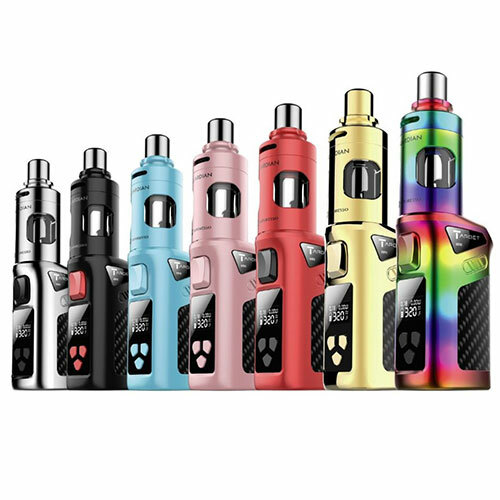 Included in the kit is the Vaporesso Guardian Tank. Featuring a dual child locking mechanism that prevents little wandering fingers from accidentally opening the tank and coming into contact with the e-liquid within. The Guardian also has a true and unique leak resistant structure. Mouth to lung and direct to lung airflow settings are catered for and the tank comes with 2 drip tips to allow for both styles of vaping. Vaporesso really started the ceramic coil craze and the Guardian takes the famous CCELL ceramic coil, guaranteeing a clean and pure e-liquid flavour delivery. Love it! Powerful enough to get a good hit but small enough to carry in your pocket - without leaking! Love this it is easy to use and can be used in two ways. Excellent fast delivery of product. Thankfully didn't wait long for arrival, amazing flavor just love it cute too. Best vape i have owned. The red one looks amazing and the size is perfect. Brilliant service!